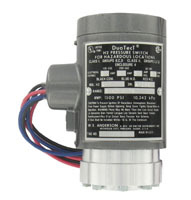 Low Differential Pressure Switch for General Industrial Service which is ATEX approved and applies to mechanical equipment control and processes. 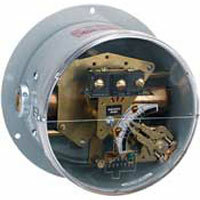 Single and Dual Pressure Switch which applies to damper positioning and duct air control. Provides leak-proof construction. 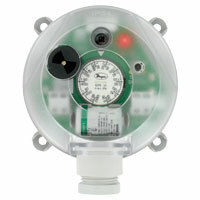 Large Diaphragm Differential Pressure Switches are used with air or compatible gases. Applications include damper positioning and industrial service. 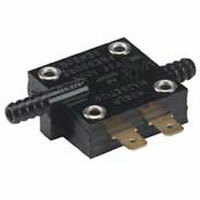 Floating Contact Null Switch for High and Low Actuation which applies to damper positioning and duct air control. 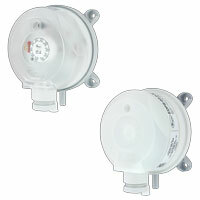 For use with air or compatible gases. 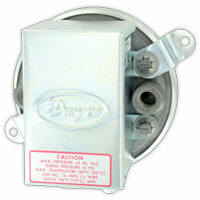 Double Bellows Differential Pressure Switch applies to accurate switch triggers in high pressure applications. Optional weatherproof construction is for outdoor use and explosion-proof enclosure. 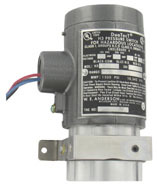 Miniature Pressure Switch applies to air proving, ventilation flow, and pressure monitoring. Low Cost. Lightweight, but shock and vibration resistant. 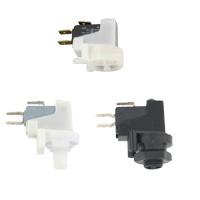 Miniature Adjustable Pressure Switch applies to industrial, HVAC, medical and automotive applications. Gold inlay contacts. Small and lightweight. 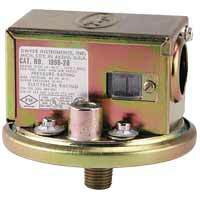 Differential Pressure Switch which is capable of carrying moderate shock and vibratory loads. Piston design allows mounting in any orientation. 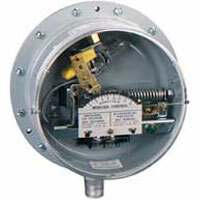 Offers field adjustments and can handle system pressures up to 6000 psig. Low Pressures down to 0.07" w.c. 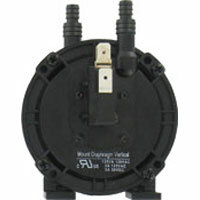 Compact Economic Differential Pressure Switch which are available for pressure, vacuum, and differential applications. HVAC Differential Pressure Switch which applies to controlling air and fire-protection dampers and monitoring air filters and ventilators. Bypass Damper Switch which applies to ventilation duct monitoring, heat exchanger frost protection, and industrial cooling circuits. 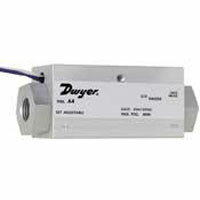 DPDT Low Differential Pressure Switches which applies to HVAC and high duct static cutout applications. Absolutely no power is required to operate the DPDT switch. 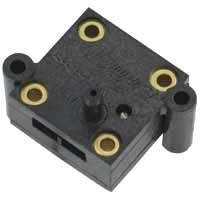 Set point adjustment on the switch is easily accessible for modifying the set point. 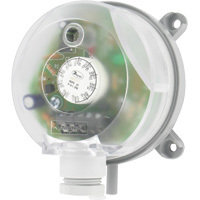 Adjustable Differential Pressure Alarm. 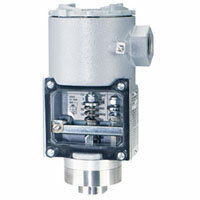 Designed for overpressure, vacuum, and differential pressure applciations. 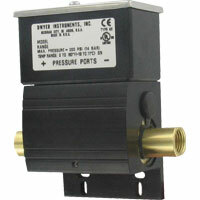 Wet/Wet Differential Pressure Switch for use with most gases and water based solutions. 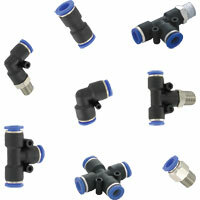 Externally adjustable set point, integral mounting flange and a removable electrical terminal block for quick and easy installation. How can a standard 1910 pressure switch be used to sense pressure in an oven operating at 200 degrees Celsius? Use metal tubing for sensing lines long enough to safely dissipate the heat.